After hammering Britain and Ireland with his clever stereotypes, Tom Phillips of buzzfeed has now turned his wry eye to the US. All I can say is, there’s a lot of truth here! 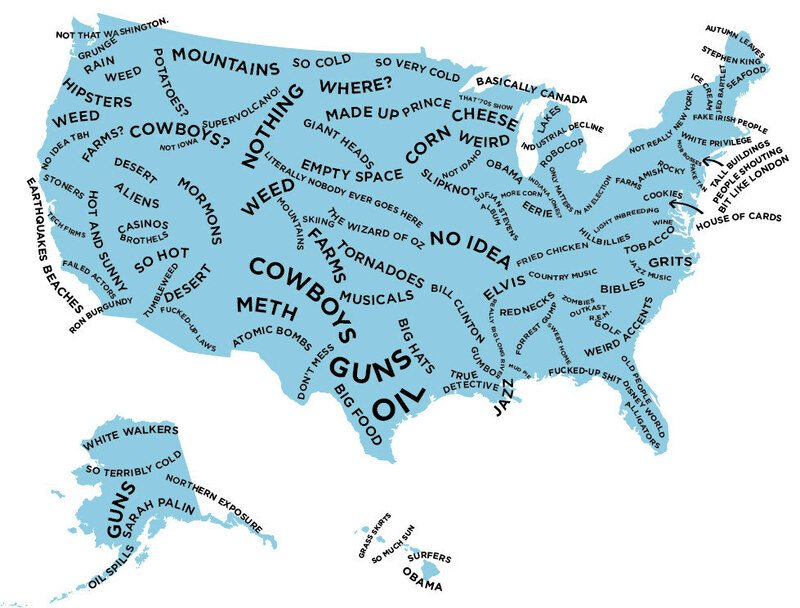 Follow this link for a region-by-region stereotypes of the US. That was Iota commenting, by the way. It’s really not working, two of us both having a blogging account. Thanks, Iota! So many things don’t work when you have to share things with your children . . . clothes, electronic devices, blogging accounts . . . . Please say hello to the real harrypotterfan327 for me!